The More Things Change...: Why Phoenixville? Historians ask a lot of questions, but all of them are designed to eventually provide an answer to The Only Real Question: Why? That’s why we amass facts and dispute their significance. Who, What, Where and When are necessary, but ultimately only Why matters. 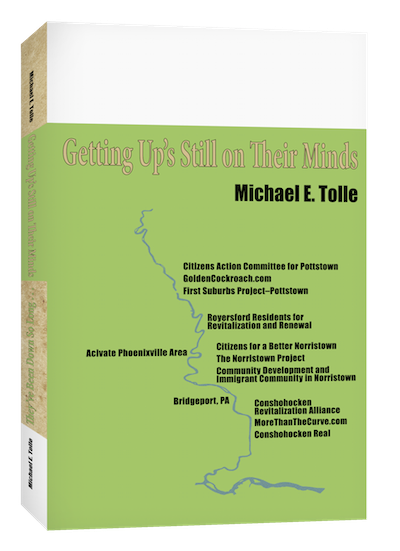 So here’s a fact: Phoenixville, Pa., is the only town on the lower Schuylkill River undergoing a locally generated community revival. I employ the phrase “locally generated” and “community” to distinguish what is happening there from what is happening to the Conshohockens. As I have written, both the Conshohockens are essentially being overwhelmed by outside forces. Phoenixville, by contrast, is not only retaining its community-centered identity, it is strengthening it. 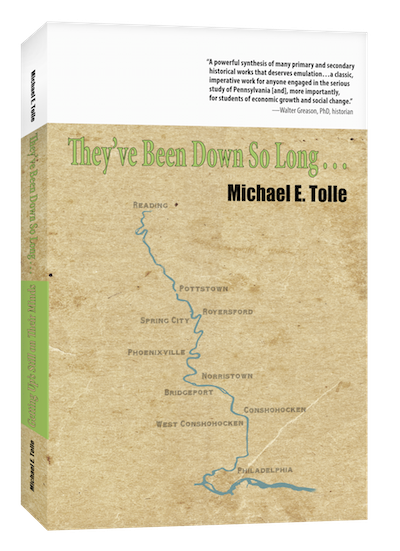 In 1980, Phoenixville stood in company with the other towns on the lower Schuylkill; Its industrial backbone had virtually disintegrated and its once-prosperous commercial section was suffering, just like all the others. Thirty years later, and only Phoenixville has crafted a rivival on its own terms. Pottstown, Spring City, Royersford, Norristown and Bridgeport remain in stagnation, still seeking what Phoenixville has found. I don’t know "why Phoenixville," but I am very interested in finding out. I am asking this question, and putting it not just to Borough residents themselves, but to every reader who can contribute something. An understanding of the underlying (i.e., the “real”) reasons will help to sustain Phoenixville’s upward momentum, and could be very useful to those towns on the river that still stagnate. That makes such an understanding a goal worth seeking. That’s why I am not going to discuss (at least not initially), Phoenixville’s current “trendiness.” Such an appellation had to follow revival, although as with the other subjects just below, success can be reinvested, and what begins as results can contribute to future success. I’m also going to quickly discuss and dispense with the two other things for which Phoenixville is most widely known. Neither of these are reasons for revival; they represent only opportunities, but Phoenixville has taken both and literally run—or paraded—with them. That has made them continuing contributors to community revival. The first is the Firebird Festival, which builds on the fact that Phoenixville possesses the perfect name for a reviving town. The myth of the Phoenix is that of a new, vibrant creature reborn from the ashes of a previous existence. It’s the perfect metaphor, and in Phoenixville’s case one that is literally appropriate. Phoenixville has also received a big break from a most unlikely source: a “B” movie (at best) called The Blob, which has become a national cult favorite. Here we must also credit Phoenixville’s penchant for historic preservation, for if the Colonial Theater—the site at which the “people flee in panic” scene was originally filmed—had fallen to the wrecking ball, there probably wouldn’t be any Blobfest. All public events are about having fund, and the Blobfest is a pretty good example, fun that is both growing and expanding in concept. The Firebird Festival is certainly about having fun, but it is about rather more than that, and provides a more promising avenue of exploration about the phenomenon that is Phoenixville. The Firebird Festival exploits both Phoenixville’s name and its industrial history, but it is a community event that is increasingly all about creativity, a concept more easily connected to the myth of the Phoenix than a B Movie, even one that has achieved cult status. Its organizers seem to be deliberately creating an East Coast version of Burning Man, employing its “use up and promise to do again, only better” approach to stimulate newer, broader and even more committed festivals each year. There is, unfortunately, a downside to betting everything on the gradual build up to a climactic act of consuming by fire. The Firebird Festival discovered this last year, as Burning Man did a few years ago. This approach seems to tempt those who would preempt a community festival with a little personal vandalism. Still, it didn’t deter Burning Man, and it won’t deter the Firebird Festival. Phoenixville’s name, its connections to pop history (and even more significant, to industrial history) are gifts that other river towns greatly envy. These unique assets must be acknowledged, but the point is that they have been exploited properly, and have become woven into Phoenixville’s image as a reviving town. The same is true for the many other events that populate the calendar in Phoenixville. The Borough boasts a great many community festivals and celebrations, including rather more organized runs than Blobfest. There are more than can be listed here, let alone described. Yet these, even together with the big ones, are not causes for revival; they are results that have been reinvested and now contribute also. But results of what? As regards these events, one thing is certain: while Phoenixville can give thanks to those gifts history has bestowed upon it, those gifts have been very well exploited. The popularity and usefulness of all these efforts did not just magically appear. Their success derives from the vision and hard work of the people who seized these opportunities and made them contributors to a strong community. Yes, Phoenixville possesses the raw materials, but their contribution to revival was by no means automatic, and the right people had to be in place. Phoenixville seems to possess such people in the private sector, and they are numerous. So, continuing on the subject of people, we can list people in the private sector for sure. But how about the quality of leadership from elected municipal officials? This has to be a community decision, because the evidence up and down the river is ambiguous. Some Conshohocken residents claim that the Boroughs’ breakthrough required an infusion of “fresh blood” into municipal government. Pottstown activists tend to agree that such an infusion is sorely overdue in their town, and focus on the Council Chairman, who has been in office for 15 years. Yet Phoenixville recently saw the retirement of the man who had been its mayor for 13 years, to the applause of everyone for his achievements, not his departure. Both are boroughs, but of different variations. 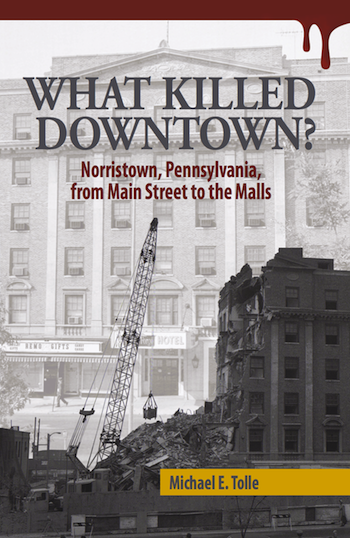 Norristown was a borough, but changed its municipal structure, then changed it again. It has no mayor, “new blood” sits on Council, but the town continues to stagnate. Clearly, no conclusions can be drawn from this small sample, except perhaps that it depends on the people, not the structure. I look forward to hearing from you on just that subject, because that’s where the real differences come in. I'm sure there is more to be said about people (partially because there are people I plan to mention), and I want to hear about this from you. But not just about people, because while a community revival must have the right people, there is much more to it than that. There are more fundamental reasons for Phoenixville's resurgence, and it will take some time before enough evidence is in for conclusions. At this point I am still in search of theses, and that's where you come in. This is a long term project, and I will be holding forth again, but what I am really trying to do is stimulate discussion. Together, let's amass the facts, so we can seek the answer to "Why Phoenixville?" P.S. I will be posting on my blog every other week for the next two to three months, as I finalize the manuscript for my new book, to be published this spring. My next post will be on Friday, January 16.